Top Exercise Errors | PrimeYours! If you are like the majority of the human race, then you probably don’t like to exercise. It’s hard to find the time, or maybe you’re just too damn lazy. Whatever the reason, the natural progression of exercise avoidance leads us to make exercise errors. People tend to be drawn toward the quick fix of a new trendy diet, or they’ll order some crazy exercise gadget while watching late night television. But, irregardless of what you have already done or tried to do, you don’t want to make things worse by making errors. 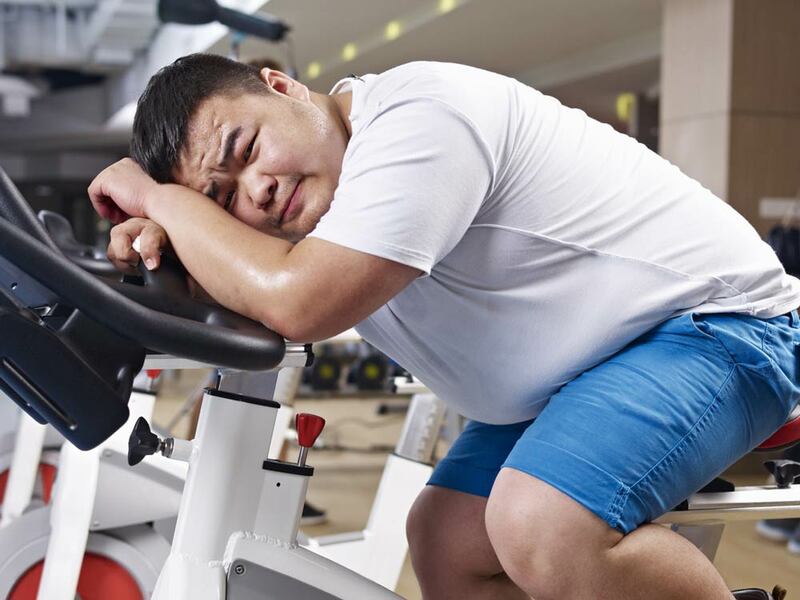 This article will showcase the most common exercise errors, so that you can avoid them on your way to a healthier lifestyle. It is important to keep in mind that the human body strives to use the minimal amount of energy to do every task. Why should it work harder? Muscles get sore when they are overused, and things break and wear down if used improperly. So exercising may not be the only answer to improving your health. Improving you health works best when it is done gradually, not by seeking out the latest ‘magic bullet’. Sport drinks are good in that they do part of what they are supposed to do – they give you energy and they do replace the important vitamins and minerals that your body needs. The flipside to the good is the sugary bad. Have a look at how many grams of sugar in the average sport drink, and you will find out where the energy is coming from. Sugar based energy is loaded with calories, and the energy you get from it is short-lived. Water is still the best choice for any athlete, with all-natural fruit juice being a close second. You can also focus on fruits and vegetables as a supplement, which will release water and vitamins slowly and effectively back into your system. When you are weightlifting, it is important to keep your body core temperature slightly higher. This will keep your muscles loose and your heart rate up. Standing around chatting and laughing between sets may seem like fun, but you are decreasing your efficiency and cooling off your body. This usually means working out with several people at once is not a good plan. Working out with one person is a long enough break in between sets. Allowing weights to rest on the floor or on top of the stack in between sets takes all the tension off of your muscles. Always make sure you avoid allowing the weights to lose tension. Think of it in the same way you would when touching the bottom of a pool while swimming – it’s cheating and defeats the purpose of working out in the first place. And in the end, who are you fooling? Allowing you elbows, arms or legs to lock when you are doing a set has the same effect as resting a weight. It takes the tension off your muscles, plus you could injure yourself by hyper-extending that particular appendage. Always stop just short of locking in order to achieve the maximum effect. Even when doing sit-ups! A common mistake everyone makes is failing to warm up before they start working out. If you are doing cardio or weights, you need to take the time to do about a combined 15 minutes of warm-up and stretching – in that order. This will increase your body temperature and loosen you muscles. If you are a non-believer in warm-ups, just give them a try. The first thing you will notice is how long you go without a pulled muscle. If you take the time to cool down and stretch when you are down your workout, you will accomplish two things. First, your muscles will have a chance to stretch and relax, rather than tighten up. Second, you will lower your cardio; so that you won’t still be sweating you leave the shower. You will really notice the difference when you get up the next day, as your muscles will be less stiff than usual. Trying to squeeze in a workout before you go out for the night, may do more harm than good. Chances are you will skip warming up and stretching, and jump quickly into a routine that you rush through. You are asking for an injury, plus this type of quick workout is hard on your system. If you find yourself doing this frequently – say on Friday nights – just try and change the routine on that day. Doing a shorter workout properly is better than doing a full workout poorly. It is very important to increase your weights on a regular basis, but going too fast can leave you with a crippling tendon or muscle injury. Don’t worry about how much your buddies can lift, just stay focused on what’s best for you. Ask a trainer at the gym to give you some pointers, and ignore friends that goad you into power lifting weights you can’t handle. Don’t be too embarrassed to ask for help. Practically anyone in the gym will spot you during a set, so don’t be too shy to ask. If you don’t, you might end up with an injury, a weight on your neck, or you will be lifting less that you could do with a little help. Plus, the people that work there usually know how to use the machines the right way, and they can give you some helpful, professional tips. If you can successfully avoid fads, quick fixes, and exercise errors, then you are on the right track to healthier lifestyle. Try to incorporate healthier ways of living everyday, rather than looking for some new product that will give you a short term solution, but will result in you gaining the weight back you started with. Think long term, and try some patience. Your body will thank you. Beware of the Post-Grad Gut!